Our members are active all over the state of Arizona. The Sustainability work they do in their companies and their communities bring concepts to reality. We are dedicated to advancing sustainable processes at work and at play! Send pictures and news to Community@thegreenchamber.org and we will add your member experience to this page. Ugandan visitors in Scottsdale to discuss deployment of Solar Liquid Power and Intensive Agriculture technologies in Uganda! Tim Owens riding AGC Member Telpriore Tucker’s electric bikes on Townlake for a promotional photo shoot! AGC Members attending the December Green Living Magazine’s Launch Party! Left to right - Tim Owens, Mick Dalrymple, Dr. Telpriore Tucker, Brian Kocour, and Dorie Morales. 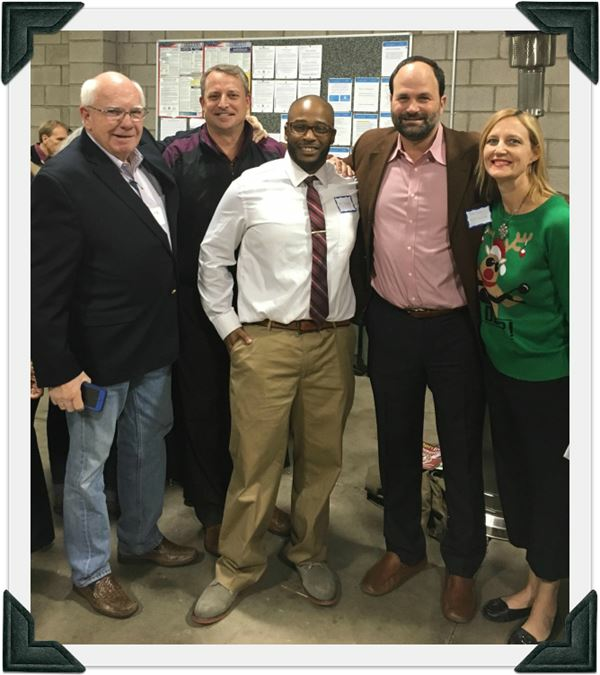 AGC Board Members attending Coffee with the Board in January, 2016. Left to right - Dr. George Brooks, Dr. Telpriore Tucker, Tim Owens and Marc Sobelman.